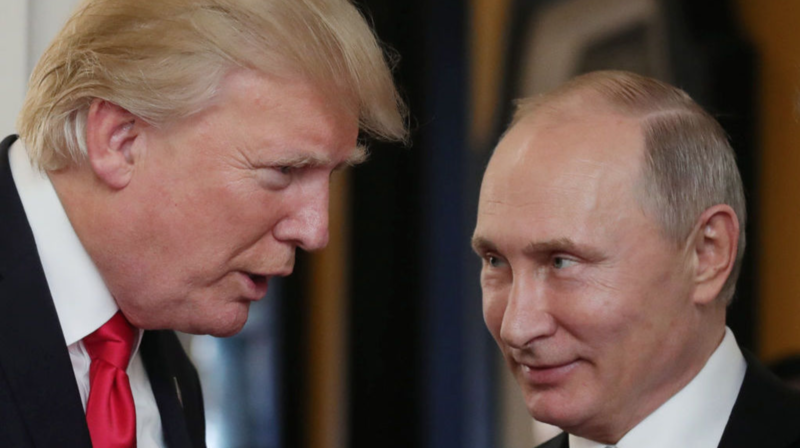 The political establishment in Washington, D.C. remains angry with President Donald Trump for “coddling” Russian strongman Vladimir Putin. By now, the claims against Trump are well-known: he refuses to respond to Russian meddling in the 2016 election; he isn’t vocal enough about decrying Russia’s apparent chemical weapons attack in England; he hasn’t challenged the validity of Putin’s recent reelection. In truth, Trump’s critics are being unfair. Clearly, Russia cannot be trusted. The Russian presidential election was neither free nor fair. Yes, it is true that Putin’s regime has a terrible human rights record—as well as a history of major aggression directed against both his neighbors and the United States. It is also a fact that Russia sought to influence the American election in 2016. Russia has tried to influence every democratic election around the world since the 1920s. Fact is, the Russians could never have made nearly 63 million Americansvote for Donald Trump—and this is something that even former President Barack Obama emphatically argued in 2016. Election tampering, unfortunately, is part-and-parcel of international espionage. The reality is Russia is a power in decline. Moscow is its own worst enemy. China, on the other hand, is in ascendance. And, by the way, we’ve yet to finish our fight with the jihadists. Shouldn’t we be less concerned about dying Russia and more focused on China’s rise? Who knows, maybe the Russians could even help us in the fight against radical Islamic terrorism—if we give them something they want. The Russians did use nerve agent against a former Russian spy and his daughter in Great Britain. Thus far, the British government has opted to take a measured approach. The NATO states have strongly condemned the Russian action, in solidarity with the British government, and we expelled a bunch of “diplomats” on Monday. What more can we do? Assassinations, like election tampering, are an unfortunate part of international espionage. Stalin had Leon Trotsky, his long-time rival, murdered in Mexico City. In 2007, Vladimir Putin had a Russian opposition member, Alexander Litvinenko, murdered in London with radiation poison. Yet, the Western response in 2007 was even more muted than it is today. We’ve experienced similar attacks by Russia for 70 years. What makes this situation worse than all of the others throughout history? It’s not as though the Trump Administration has failed to stand up to Russian aggression. Trump actually kept the Obama-era sanctions on Russia in place. Then Trump bombed Russia’s ally, Syria, twice last year for having unlawfully deployed chemical weapons against civilians. President Trump also increased pressure on Russia’s other ally, Iran. In Europe, Trump has increased NATO’s funding as well—despite his understandable consternation over Europe’s general unwillingness to adequately fund the alliance. Additionally, the president has approved selling weapons to Ukraine, against Russia’s wishes. And, more recently, U.S. forces in Syria destroyed a Russian military unit. The Trump Administration’s massive defense budget calls for the greatest modernization of American nuclear weapons since the Cold War—something that directly challenges Russian power. The president wants to establish a space force, and he is taking seriously the prospect of new antiballistic missile defenses. Equally, the administration is pushing for the development of North American energy sources, thereby reducing Russia’s ability to hold the world hostage with its massive fossil fuel stores (to say nothing of shepherding the White Stream natural gas pipeline connecting Turkmenistan energy with Europe). To say the Trump Administration has gone soft on Russia is absurd. Ultimately, Trump is reluctant to risk his personal relationship with Putin by criticizing him publicly. This is a smart move: while Trump has stood strong against Russian aggression, he has always left the door open for a better deal to be made. Trump would do well to meet with Putin before Cold War 2.0 begins in earnest. Trump and Putin need to leash the dogs of war and open the art of the deal. The United States and Russia should be partners, not enemies. Click here to read more thrilling material at American Greatness!